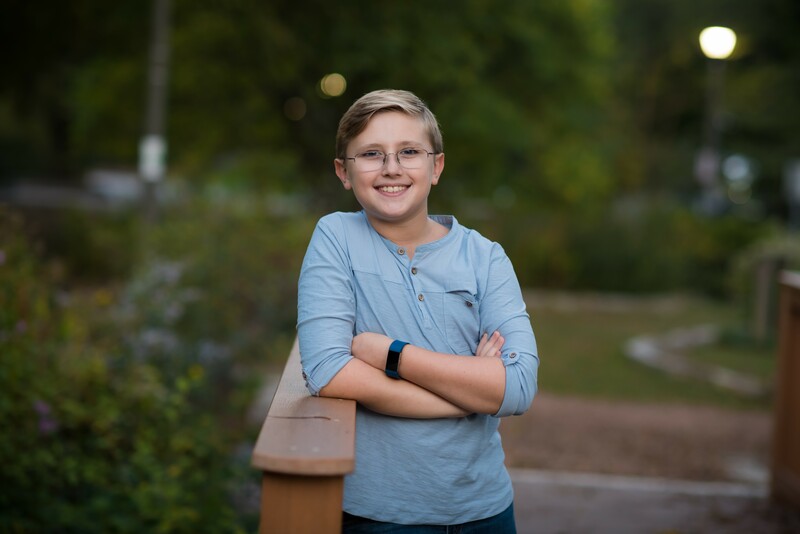 Joshua is 13 year old Glenview native, whose passion for singing and performing was evident at a very young age. At the age of 5, he asked to try theater camp and absolutely loved his experience at the Metropolis Performing Arts Centre. Here his love affair with musical theater really began. Over the next few years, Joshua was dedicated to the local KidStage Theater, as well as the Northbrook Park District Junior and Community Theater, taking on roles such as Lion in the “Wizard of Oz”, Geppetto in “My Son Pinocchio”, Buddy in “Elf” and Michael Banks in “Mary Poppins”. More recent roles include Edgar, the Little Boy in “Ragtime” in The Dolphin Show at Northwestern University and as the Soloist in the BCBS commercial. Joshua is thrilled be cast in the Drury Lane Theatre’s production of Matilda as Bruce, the cake-loving kid (April-June 2019). Joshua is dedicated to learning and growing as a performer, training at the Actors Training Center, taking vocal and acting coaching, private dance classes and attending workshops and classes in both stage and screen techniques. He takes every role seriously, meticulously learning about each role he’s portraying by watching other performances, reading as much as possible and getting into the mindset of each character. His says that his most coveted future role is Tevye from “Fiddler on the Roof” and Genie from “Aladdin”. Joshua is an accomplished competitive ballroom dancer (having trained for 7 years), an avid tennis player, and a valued member of his school’s math and Scholastic Bowl teams. His wicked sense of humor and kind personality make him easily relatable to both kids and adults alike. Joshua is grateful to be a part of the Gray Talent Group and is excited about his future roles!